IT professionals, whether employed by large enterprises or small businesses and even including self-employed entrepreneurs, are finding themselves living in a time of uncertainty and transition. Both the job market and the jobs themselves have changed drastically since the heyday of network administration 15 to 20 years ago. I can remember fondly when I was teaching MCSE certification classes at the local community college in the 1990s. Everybody and his dog wanted to “get into IT” – and no wonder. A bright guy or girl with no experience could go to school for a few months, spend some long evenings with the 800-page study guides that proliferated (quite a few of which I had written), traipse down to the nearest Prometric testing center and pass a handful of multiple choice exams, and with some basic interview skills, go out and land a job paying twice what he or she had been making as an office or factory worker. Back then, the networking technology was less complex. You needed to know about NetWare, Windows NT, and maybe Cisco routers. Security was much less of an issue unless you were working with top secret documents for a government agency or contractor. The idea of regulatory compliance was in its infancy. Most Internet communications were based on text and graphics files. Audio and video communications across IP networks weren’t commonly used, in large part because the bandwidth to support them just wasn’t there. Many network admins were Jacks (or occasionally Jills) of all trades. They had to set up, maintain and troubleshoot both the hardware and the software. In small and mid-size businesses, they often did everything computer-related, taking care of both hardware and software, from climbing into the attic to run the Ethernet cable drops to configuring Exchange mailboxes and SQL databases to coding the HTML for the company’s web sites to instructing end-users on how to get the most out of Word and Excel. However, as networks got bigger and both hardware and software got more sophisticated, and as the field matured and more standards were developed and rules imposed, it was inevitable that job descriptions would evolve. It’s the natural order of things. Once upon a time, most physicians were in general practice, treating all manner of disease, illness and injury with patients of all ages and genders. A typical doctor might deliver a baby, set a broken leg, prescribe medication for heart disease, even perform surgery. Today, medicine is far more complex and most M.D.s specialize. They have deep knowledge about one organ or part of the body (cardiology, orthopedics, podiatry) or one type of disease or condition (oncology, infectious disease, pain management) or one age group (pediatrics, geriatrics) or one type of procedure (radiology, surgery). Likewise, those who work in the IT field today are much more likely to know a lot about one or two things and work only with those technologies. 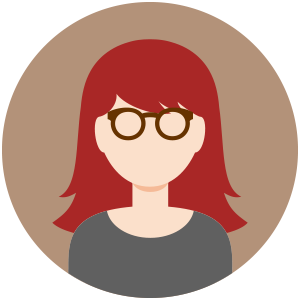 We have Active Directory admins, database admins, email admins, web admins. Hardware is set up and managed by in-house specialists or by the vendors. Networks no longer “just grow that way.” Now they’re designed based on principles developed by network architects. There are dedicated tech support personnel to take those “help me” calls, so that network admins never even have to interact with users. Security is a very big deal – now, in many industries, mandated by law – and is handled by experts in that field. As new as this model is, though, it’s already being replaced by something else. No sooner had all those IT pro generalists of yesteryear scrambled to immerse themselves in a specialty area than along came cloud computing and threatened to change their worlds once again. Like a thick blanket of fog that moves in slowly and gradually covers the whole landscape, the virtual cloud is slowly but persistently permeating all of IT and forcing IT pros to develop not only new skill sets, but also whole new mindsets. Enterprises are being told that the shiny new data centers that they were so proud of need to be “transformed.” In fact, “transformation of the data center” is becoming the new mission de jour. The IT pros who work there are now tasked with turning their on-premises data centers into private clouds, which means learning to implement a new computing model based on such tenets as self-service, metered service, high availability and scalability. For those IT pros who have built careers on being the “go-to guy” for a small company’s network, the paradigm shift is even more profound. The small business server room isn’t even considered to be worth “transforming” – if the major tech companies and pundits are to be believed, it’s just going away completely. After all, why should an SMB incur capital costs for hardware and software, pay the high price of salaries and related employee expenses, and absorb the overhead of troubleshooting and maintenance when there are cloud providers that can do it all for you? Economies of scale mean they can do it at a lower cost and at the same time provide a higher level of reliability and security than most small orgs are able to provide on their own. Some of the last obstacles to cloud migration have disappeared. Relying on cloud services for applications and data storage no longer means being relegated to a less full-featured solution. Now in addition to alternatives such as Gmail and Google Apps, companies can have the familiar Microsoft experience – Exchange mail, Word, Excel and PowerPoint, Lync communications – without the need to support those server and client programs in their own server rooms and without the need to worry about updating software or addressing hardware problems. Plans now include huge amounts of data storage, and it’s automatically backed up by the cloud service provider. It’s great news for the bottom lines of small businesses operating on tight budgets, but where does it leave those IT pros who supported those on-premises apps and file servers? Does it mean they’re all going to be out of a job? 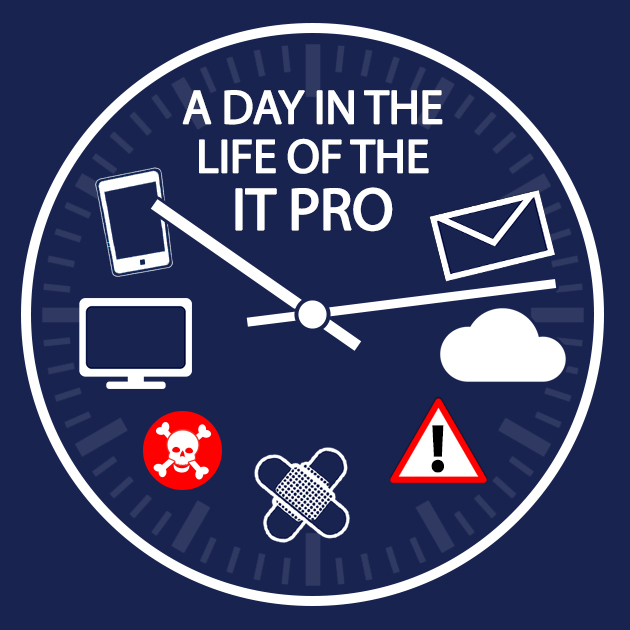 Some in the industry have gone so far as to suggest that the life of the IT pro, at least as we know it, is over. That there is no longer a place for the typical network admin who spends the work day tending to a flock of servers and fielding questions and complaints from end users. That the increasing use of automation to perform previously manual-only tasks, from installing updates to provisioning new accounts is making the role of network administrator obsolete. That the self-service model will make it possible for users to take a DIY approach to tasks formerly handled by an admin. That like the airline pilot whose plane now flies itself much of the time, the IT pro will soon be able to simply put the network on auto-pilot and sit back and watch – at least until there’s an impending catastrophe that requires the human touch. We haven’t done away with pilots even though technology can keep a 747 on course in the sky. Business networks are becoming more, not less critical to every organization’s core mission. While it’s certainly true that companies might be able to function with fewer IT pros in the future, it’s doubtful that they will get rid of them altogether, at least for quite a while. It is, however, likely that they will be asked to take on new job duties as they have to perform fewer of the old ones. And therein lies the question. 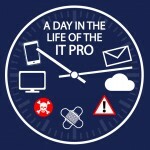 What will a day in the life of the IT pro of tomorrow be like? I’ve heard speculation that the position will deteriorate into a low-level, low-paying “watchdog” position that only requires someone to sit and monitor and respond if and when something goes wrong that the “self-healing” system can’t fix itself. But I don’t think it has to be that way. I believe it’s just as possible that today’s IT pros will evolve, not devolve. With less time wasted on mundane tasks that can be taken over by automation, there will be more opportunities to take our skills to a higher level. All of these new cloud-based networks will need to be architected, designed, and maintained. For those who are up to the challenge, new skills can bring new rewards – both monetary and intangible.